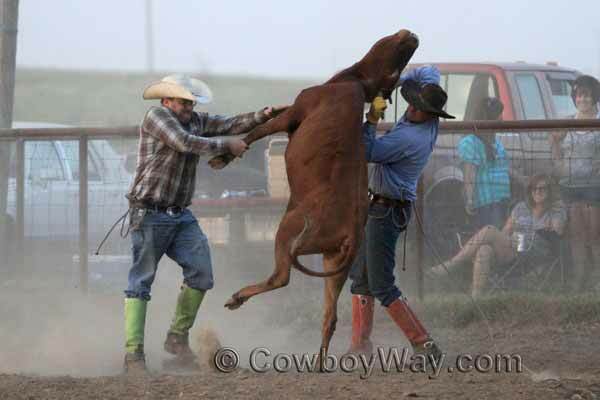 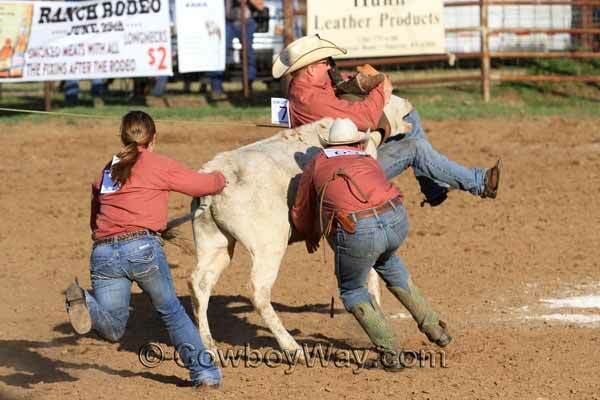 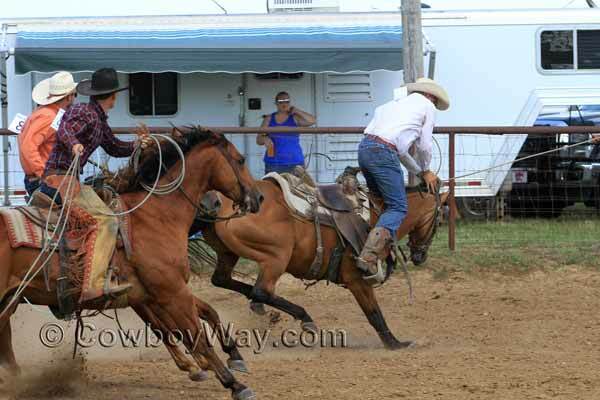 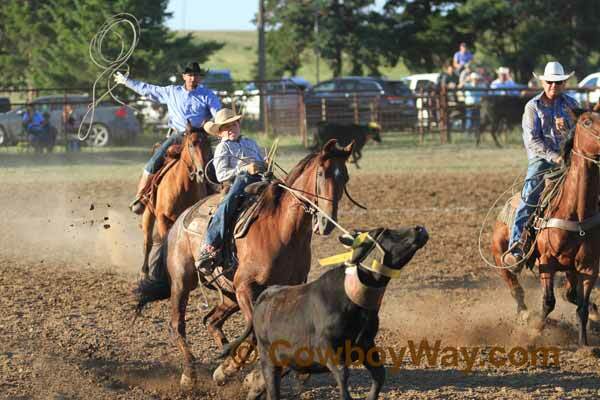 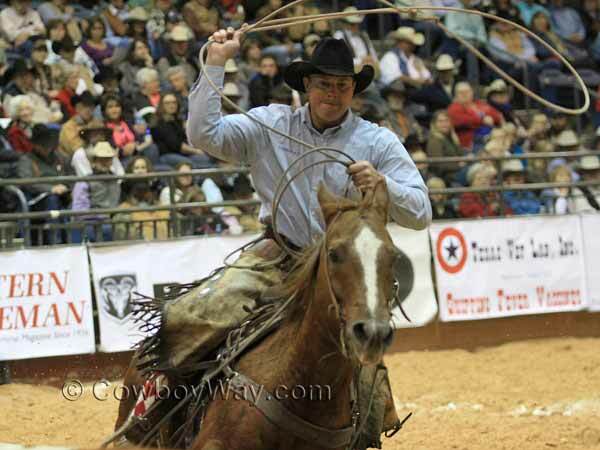 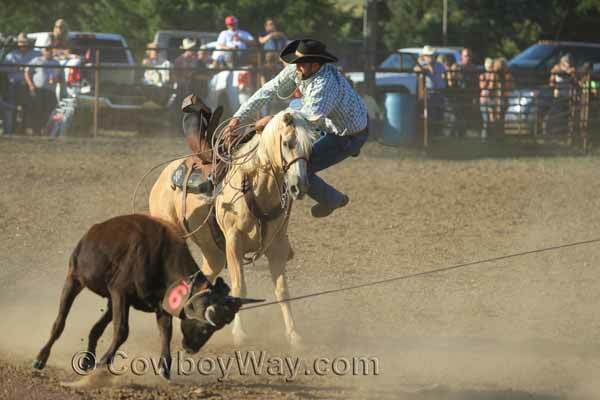 Below are ranch rodeo photos of different events and from different locations. 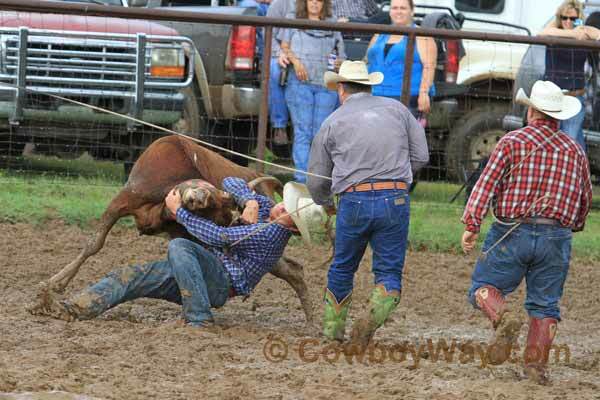 A ranch rodeo is a rodeo where contestants compete as teams from ranches instead of as individuals like a "regular" rodeo. 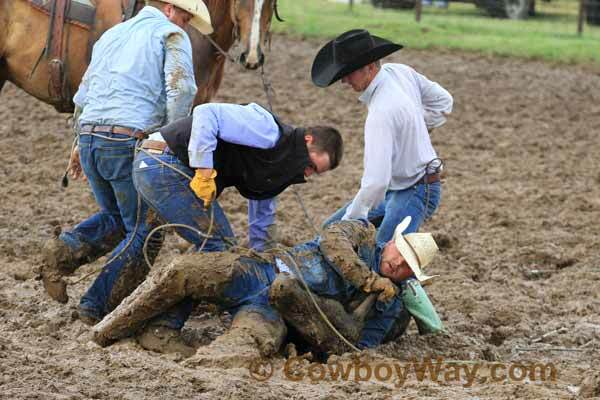 While the events at a ranch rodeo vary, they commonly include sorting, doctoring, wild cow milking, ranch bronc riding, branding, mugging, and/or others. 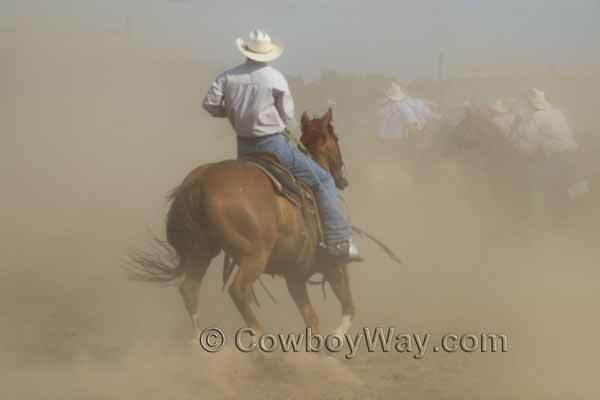 A description of ranch rodeo events can be found at the bottom of page 2 of our ranch rodeo photos beneath the pictures.